After 30 years in the jewelry business, J. Jones Jewelry, at 11229 East Independence Boulevard, is closing its doors at the end of December. According to owner and Matthews resident, Judy Jones, the closing will be bittersweet – a good time to retire for the 67-year-old and her husband Larry, 65, but a sad time to say goodbye to long-time clients. 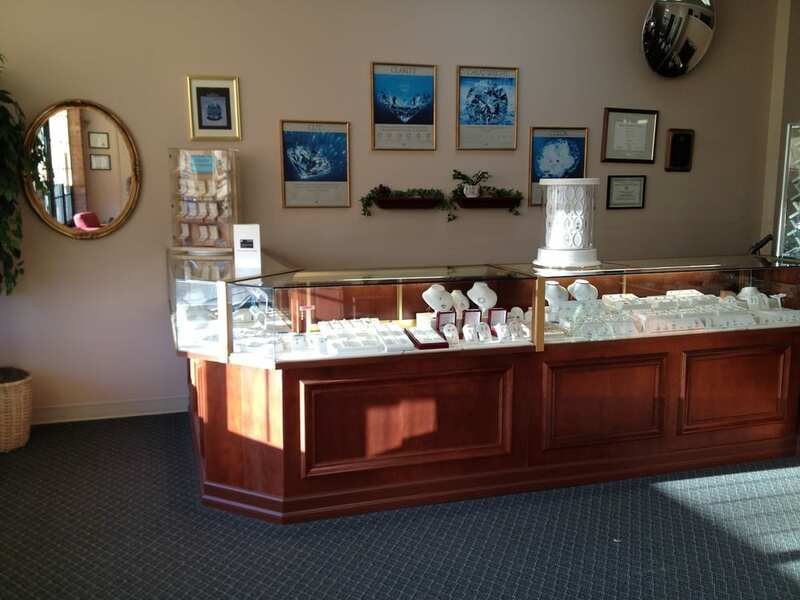 When the repair and custom fine-jewelry design store opened, in 1988, it was the only custom jewelry store in town and a dream for the couple to find something to do together and to make a living for their family of five. Judy serves as business manager and Larry is the jeweler. “We wanted to stay close to home and thought Matthews would be a good place” to run a business, said Judy. Along with the couple is their trusty dog, Brutus – always present and at their feet. Over the years, the couple has seen changing trends in the field – affecting declining sales of jewelry purchases and the demise of small businesses. Through the decades clients have formed close, personal connections with the family, including the Jones' 38-year-old son who worked at the store and is now grappling with a serious disease. “We’re going to miss our long-time customers. They’ve been through a lot with us,” Judy said. a 12.5% year-over-year increase in brick and mortar jewelry stores going out of business; online fine jewelry sales will have doubled between 2014 – 2020; and diamond purchases by single women will increase by 20% between 2013-2016.